In 1964, Ford released the Mustang and its sales promptly went through the roof. In 1965, reports appeared that Chevrolet was planning a two-door car with a long hood to compete with the Mustang, and the buzz of excitement started. The Mustang was fantastic, but competition between the two companies meant more choice and cars that would get better and better as the brands tried to outdo each other. The Camaro entered the public consciousness with its announcement on June 28, 1966. Its goal was to beat the Mustang at its own game and the rivalry has been intense ever since. Z/28 is the obscure order code you had to use to order the SCAA spec Camaro intended as competition for the race legal Mustang. 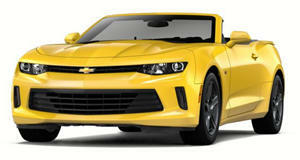 However, according to legend, Chevy’s boss Pete Estes disliked anything that wasn’t a convertible so one of the Camaro team ordered a convertible Z/28 to be made. Estes loved it and the Z/28 moved into production, but it was almost 20 years before a Z/28 soft-top became an option for customers. The 427 cubic-inch engine wasn’t on the order sheets or part of a package option you could tick. 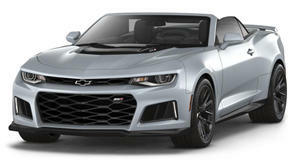 You needed to know it existed and who to call for a Central Office Production Order and it cost just about double the price of a normal Camaro. 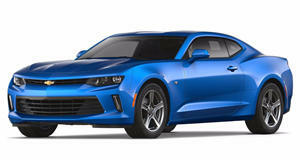 Now, it’s one of the most sought after and valuable Camaro options in the collector market. IROC stands for the International Race Of Champions and was a race series that ran from 1973 to 2006, barring a hiatus from 1981-1983. The idea was to put the best drivers from other racing series into identical cars on different race tracks in order to sort out the best from the best. The series initially used the Porsche RSR, but, after the first year, the championship switched to use Chevy's Camaro until 1989. A single team of mechanics prepared each car so they were the same and the field of drivers was kept between 6 and 12 per series. If you squint your eyes, you can see how styling of the second generation of Camaro was inspired by the Ferrari Lusso 250 GT. GM like the idea of a "European grand-touring aesthetic” for the body, and it paid off.